Former Vice President Joe Biden hasn’t yet announced he’s running for president — officially, that is. But he may already have a vice presidential running-mate in mind. Despite him walking back on the idea that he’s set to run, a new report from Axios on Thursday suggested that not only is he ready to announce his candidacy, but that he already may have a vice presidential running-mate picked to run alongside him. According to that report, some of Biden’s advisers have mulled around the idea of naming former Democratic nominee for Georgia governor Stacey Abrams as Biden’s v.p. pick right away after Biden announces his own intention to run. 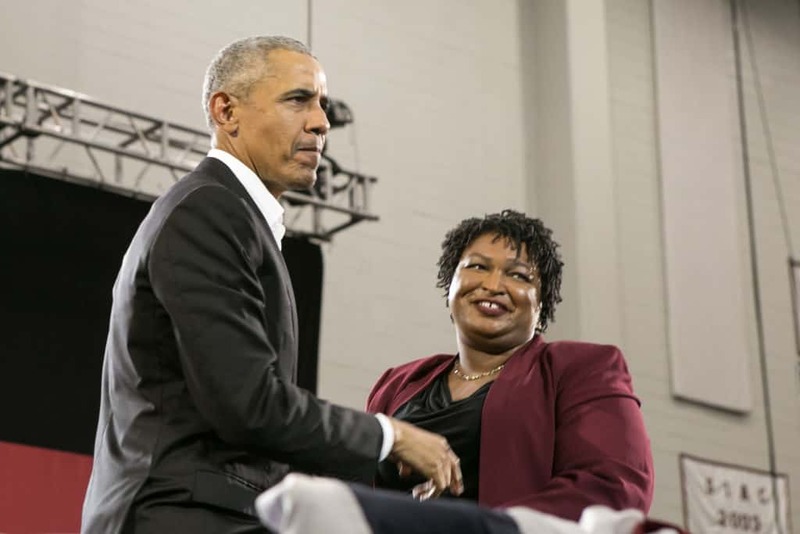 Abrams narrowly lost the Georgia race in her home state, which was mired in controversy, and delivered the response to President Donald Trump’s State of the Union address earlier this year that many gave her high praises for. Biden and Abrams did indeed meet in Washington D.C. last week, reportedly to discuss Abrams’s next political moves. The meeting purportedly came at the request of Biden. The choice of Abrams would be advantageous to Biden in a number of ways. Abrams is seen as a rising star in the Democratic Party, and as an African American woman, she would bring diversity to the ticket. A source on the discussions said it would demonstrate that Biden “isn’t just another old white guy” running for president. Though Biden himself has suggested he may name someone as his running-mate early on, other advisers have urged him not to do so, Axios also reported. They cited several key reasons why naming someone so soon may be problematic for him. First, it could be risky in the debates, as Biden might be asked why consideration of other Democrats — namely, those he’s running against for the presidential nomination — wasn’t appropriate. Second, the move to name a vice presidential running-mate so early on could be seen as an improper move, one in which Biden might be perceived as arrogantly assuming he’s going to win the nomination a full year before the Democratic Party’s convention and before any of the caucuses or primaries take place. A third problem for Biden may be that naming someone to be his vice president this early on could cause headaches further down the line if he decided to change his mind. Whether he names Abrams or someone else as his v.p. choice, if that individual slips up during the campaign in a considerable way, or if some past indiscretion comes forward, it would be an embarrassing turn of events, midway through the campaign, for a presidential candidate to have to change course on a decision regarding their running-mate. According to Axios’ reporting, Biden’s choice on the matter wasn’t decided at this time.